Pittsburgh Day of Giving October 4th! 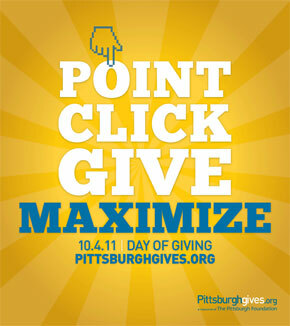 The Sounds of Pittsburgh Chorus is participating in the Pittsburgh Day of Giving on October 4th, 2011. On this day, starting at midnight, you can donate to our chorus and we will receive matching funds. This deal only applies on October 4th, so please make a note in your calendar and give on that day so we can receive the matching funds. 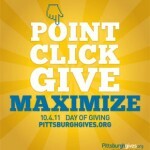 Visit http://www.pittsburghgives.org and look for the “Day of Giving” link. Look for our Chorus in the drop-down list to add your donation. You will find us in the Pittsburgh list. There is a minimum donation of $25. Master Card and Visa are accepted. There is a small processing fee deducted from your donation. Watch the video below for more details or click the link for instructions you can print. ← One Day Left to Vote!